2005-West Point Mint Proof Silver Eagle - Independently Certified and Signed by the Designer! Early year West Point Mint Proof Eagle Silver Dollars are tough to find when graded by Professional Coin Grading Service (PCGS) in near-perfect Proof-69 (PR69) condition, and tougher still with a label hand-signed by John Mercanti, sealed right in the holder with the coins! 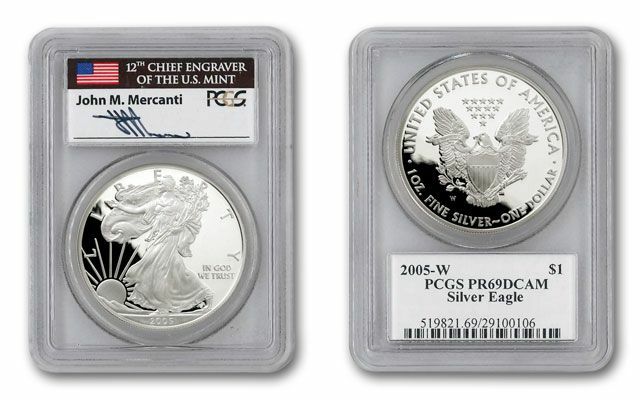 Here's your opportunity to secure the Mercanti-signed 2005-W Proof Silver Eagle now. 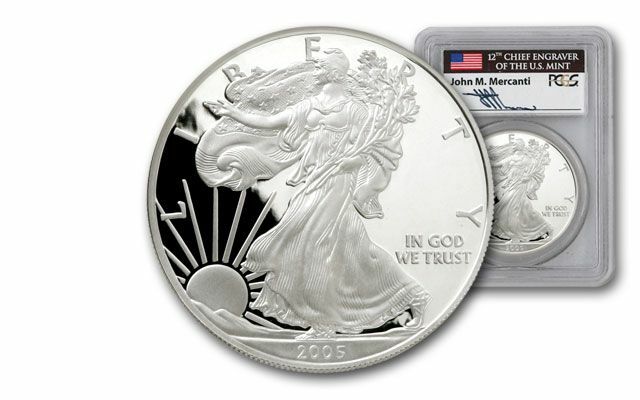 The 2005 Proof Silver Eagle is a handsome coin featuring a beautiful cameo finish. Specially produced by the Mint, the 2003 Proof Silver Eagle was intended to be purchased as a collectible coin, and not for circulation. The proof mintage in 2005 was less than 10% of the bullion Silver Eagle mintage, making these proofs instantly scarce and desirable. 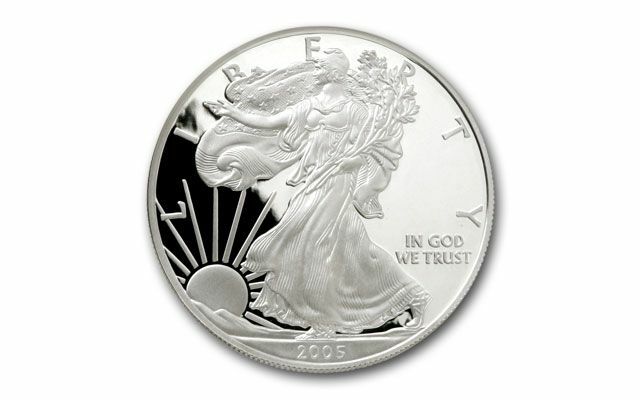 The obverse of the 2005-W Silver Eagle features the classic "Walking Liberty" image by American sculptor Adolph A. Weinman. Clothed in a flowing gown embossed with stars, Liberty is depicted moving confidently toward a rising sun, symbolizing American optimism. 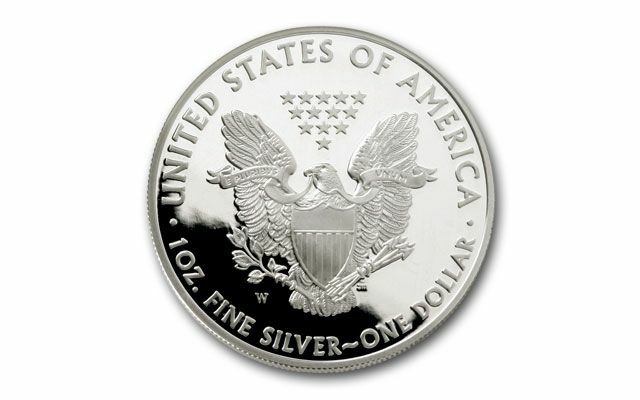 On the reverse face of 2005-W Silver Eagle coins is an image by John Mercanti, Chief Engraver at the U.S. Mint. Based on the Great Seal of the United States, the design features a bald eagle in a formal heraldic pose, its breast covered with a shield. Its talons clutch an olive branch and sheaf of arrows, and in its beak is a banner inscribed with "E PLURIBUS UNUM" - "Out of many, one." Don't wait to secure this tough early date. Call now!